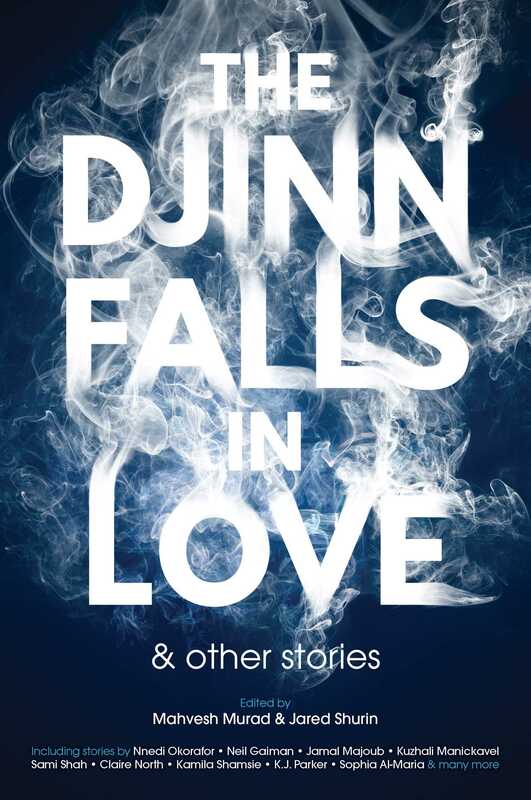 "The Sand in the Glass is Right," by James Smythe [bio] (edited by Mahvesh Murad and Jared Shurin), appeared in The Djinn Falls in Love, published on March 14, 2017 by Solaris. Pro: Each time he gets to rewrite his history he finds a new way to mess it up until the last time around he has had enough and accepts his fate. Also, he gets crazier and crazier on each cycle, and the stench of damnation grows stronger and stronger. The first time, he alienates his family and ends up alone. The second time, he has no sons. The third time, he loses his son. The fourth life, he’s lobotomized and institutionalized before he has any children. The fifth life (which he only gets by deceiving his caregiver) he ends it miserable, with his son dead and his grandchildren pitying and despising him. On the sixth life, his son inherits the stink from his father, is abnormal somehow, and end up killing himself as a child. Simon gives it up at this point. Con: Some of the misfortunes are a bit hard to believe. Also, since he already got three wishes (lives 2, 3, and 4), and he needed help to get life #5, how does he get life #6? Simon is rather unlikable, so we’re not rooting for him to succeed.